After working as a pharmacist for a few years, Dr. Eric decided to change careers and went on to complete his Bachelor of Dental Surgery Degree at James Cook University in Queensland. Dr. Eric enjoys all aspects of general dentistry with a special interest and passion in orthodontics (braces) and cosmetic dentistry. He focuses on developing long-term relationships with the patients and to truly understand their needs. This will become the cornerstone in Creating Brighter Smiles. Dr. Eric always strives to deliver high-quality dental treatment in a gentle, caring, comfortable and relaxing family environment for all his patients. He is passionate about providing patient-centered care and comprehensive dental services, which are tailored and customised to the individual patient. More importantly, he is very experienced in treating young children and enjoys making animal balloons at the end of the dental appointment. 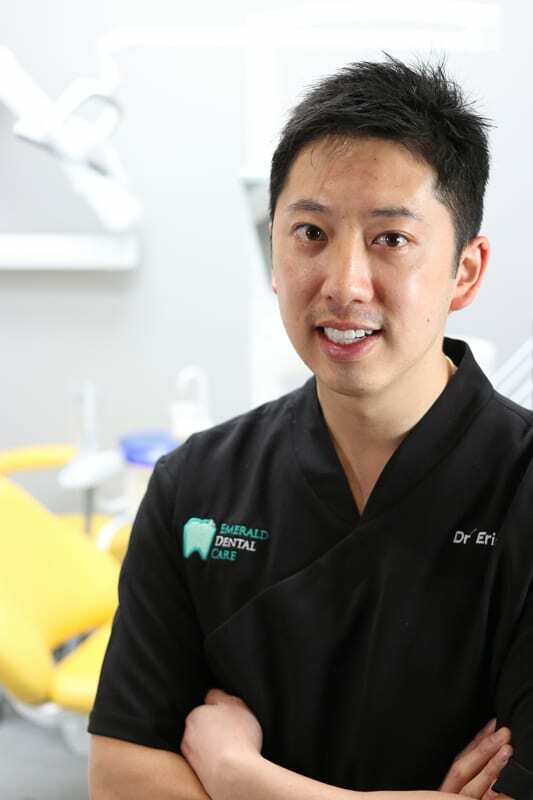 Eric is a member of the FICCDE (Fellow of the International College of Continuing Dental Education) in Orthodontics, as well as a member of the Australian Dental Association. He keeps abreast of the latest advancements in dental technology and techniques through his extensive continuing professional education and training. He is also an Approved Provider for the One Visit Crown. Outside of dentistry, Eric enjoys spending time with his young family, playing the piano and travelling. Being born and bred in Melbourne, he also closely follows the AFL.